Suresh Narayanan has over 30 years of rich and exhaustive experience in the FMCG Industry and has held senior management and top leadership roles in leading global companies. Currently, he is on the Board of Directors of Nestle India Limited. Prior to that, he was the Chairman and CEO of Nestle Philippines. 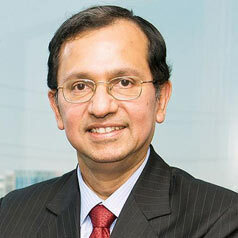 From 2008 to 2010, Narayanan was the Managing Director of Nestle Singapore, where he spearheaded a sustained growth amidst the economic downturn. He was awarded the Medal of Commendation by the Government of Singapore in 2010, for excellence in employee relations during this challenging period. Narayanan holds a Master's Degree in Economics from the Delhi School of Economics and has a Diploma from the IMD Program for Executive Development. He began his career as a management trainee at Hindustan Unilever. He regularly speaks at NASSCOM forums, various corporate and well-known business schools.